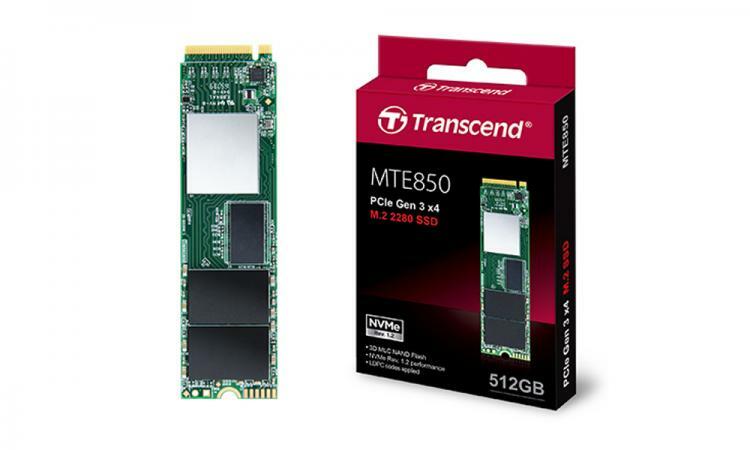 Transcend introduces its first ever PCIe NVMe 1.2-compliant solid state drive – the Transcend MTE850 PCIe NVMe M.2 SSD. The Transcend MTE850 SSD with its PCIe Gen 3 x4 specifications offer blazing speeds of up to 2,500 MB/s read and 1,000 MB/s write, thanks to the 3D MLC NAND flash technology. The MTE850 SSD is available in 128GB, 256GB and 512GB capacities. The Transcend MTE850 PCIe NVMe M.2 SSD uses PCI-Express Gen3 x4 interface and is NVMe 1.2 compliant that offers a theoretical speed of 32 GB/s, far superior to SATA III specifications of only 6 GB/s. Also with the help of the DDR3 DRAM cache, the MTE850 SSD offers speeds of up to 2,500 MB/s and 1,100 MB/s read and write speeds using SLC caching technology. 3D NAND Flash also offer better endurance and improved reliability compared to 2D NAND. With Transcend’s own SSD Scope software, you can keep your Transcend SSD running fast and error-free. The software monitors the SSD’s health and status with the help of S.M.A.R.T. technology. Enable TRIM technology to achieve optimum write speeds. Update your SSD’s firmware with use using the SSD Scope software. For more information on the new Transcend MTE850 PCIe NVMe M.2 SSD, visit the Transcend website.